This volume, first published in 1976, is addressed to the analysis of power and conflict in and of organizations. The author’s organizing concept is that one can understand and harness or alter the energy of organizations so that they may function more intelligently and humanely. In focusing on the harnessing of organizational energy, the author relates theory to practical day-to-day reality in organizations and provides an in-depth analysis of the origins of conflict in organizations. 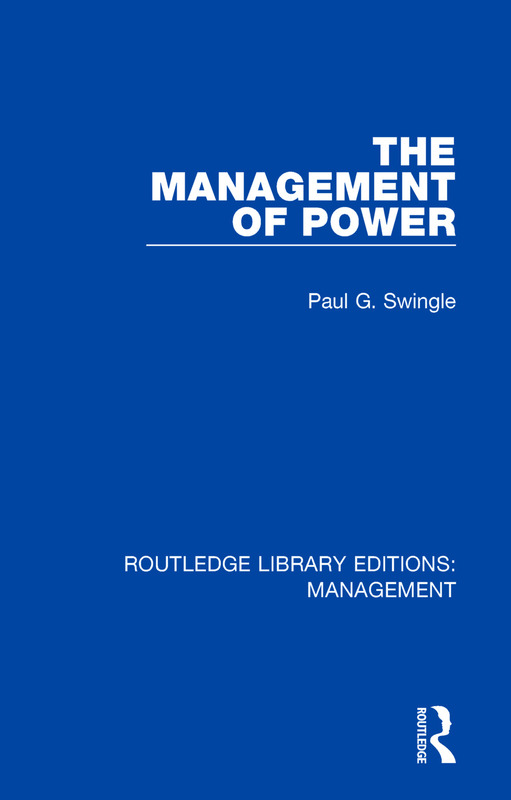 The focus is upon the collective of power and action, and the volume offers pragmatic suggestions for enhancing managerial skills by bringing together theory and an appreciation of practical realities. Paul G. Swingle, Ph.D. R.Psych. was Professor of Psychology at the University of Ottawa prior to moving to Vancouver where he is now Director of the Swingle Clinic. A Fellow of the Canadian Psychological Association, Dr. Swingle was Lecturer in Psychiatry at Harvard Medical School and during the same time period was Associate Attending Psychologist at McLean Hospital (Boston) where he also was Coordinator of the Clinical Psychophysiology Service. Dr. Swingle also taught at McGill University Graduate School of Business. He is a Registered Psychologist in British Columbia, certified in Biofeedback and Neurotherapy.